Request a quote for Aluminum 2 Spoke Chrome Plated Handwheel today. 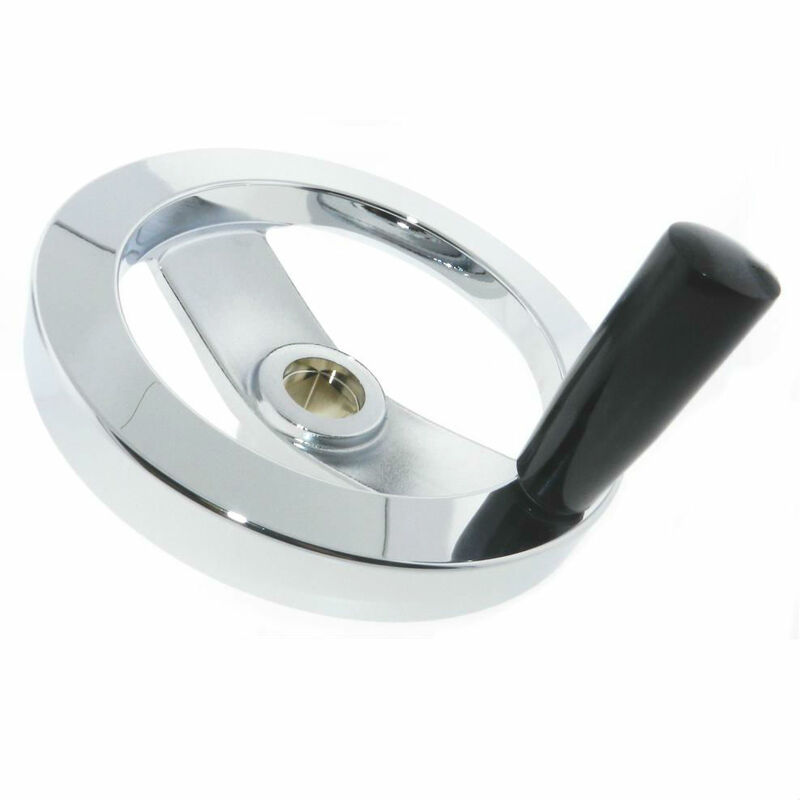 JBF National fashions this 2 spoke aluminum handwheel from the finest chrome finished gravity cast aluminum, and comes with either a fixed phenolic revolving or folding handle. 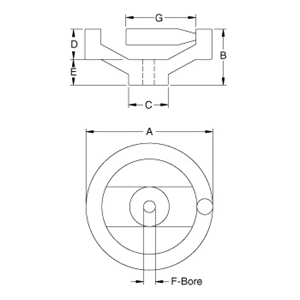 This handwheel is also available in 4” and 6” diameters. A rigorous 400 hour salt spray test rating means that it will stand the test of time in any situation. Please see component diagram below.